glyCUBE - 2 Gallons Propylene Glycol and 2 Gallons PALM DERIVED Vegetable Glycerin. Poly bagged and double boxed. This glyCube containes the PALM DERIVED VG gallons from the same supplier we have been selling for years. 2 x 1 Gallon Pure Vegetable Glycerin - Kosher - USP - Food Grade - Non GMO - Safety Sealed HDPE Resealable Lid. It is a natural emollient that adds a cooling effect on the skin and has become a predominant ingredient in most skin care products and soaps. It is used in cosmetics and body care products to assist in retaining moisture and is helpful in pulling oxygen into the skin. Vegetable glycerin is also the principal medium for the manufacturing of non-alcohol based herbal extracts, which are called glycerites. Kosher certified and suitable for food and cosmetic use. 2 x 1 Gallon Pure Propylene Glycol- USP - Kosher - Food Grade - Safety Sealed HDPE Resealable Lid. Finest Quality Propylene Glycol for as a moisturizer in medicines, cosmetics, food, toothpaste, shampoo, mouth wash, hair care. Kosher certified and suitable for food and cosmetic use. 4 Gallons in a 12" x 12" x 12" box that you can stack 4 high conserving, space in your facility. Many customers order 20 or 30 Glycubes at a time, and utilize our freight shipping rates. Our Propylene Glycol and Vegetable Glycerin products are loved by Essential Depot's customers because they are the best and purest product you can buy. USP Grade (pharmaceutical grade) from the same trusted source for over 5 years. All our glycerin and propylene glycol products are safety sealed for your protection. Essential Depot Vegetable Glycerin is distilled from PALM products and meets a minimum purity specification of 99.7+%. The 0.3% remainder is usually water as glycerin readily absorbs moisture from the air which is difficult to completely remove during the distillation process. Essential Depot always recommends to test to ascertain if this Vegetable Glycerin will cause a reaction before it is used. What is the difference between Glycerin and Vegetable Glycerin? Traditionally, Glycerin is derived from animal fat(s) and Vegetable Glycerin (also known as “VG”) is derived from plants. But, Glycerin has a chemical formula of C3H8O3. The chemical formula of C3H8O3 is exactly the same regardless of the origination of the source from which it is derived. If each is pure, there is no difference between the two types: Glycerin and Vegetable Glycerin. Regardless of from which source the Glycerin is derived, the Glycerin is exactly the same in every way (a chemical formula of C3H8O3). 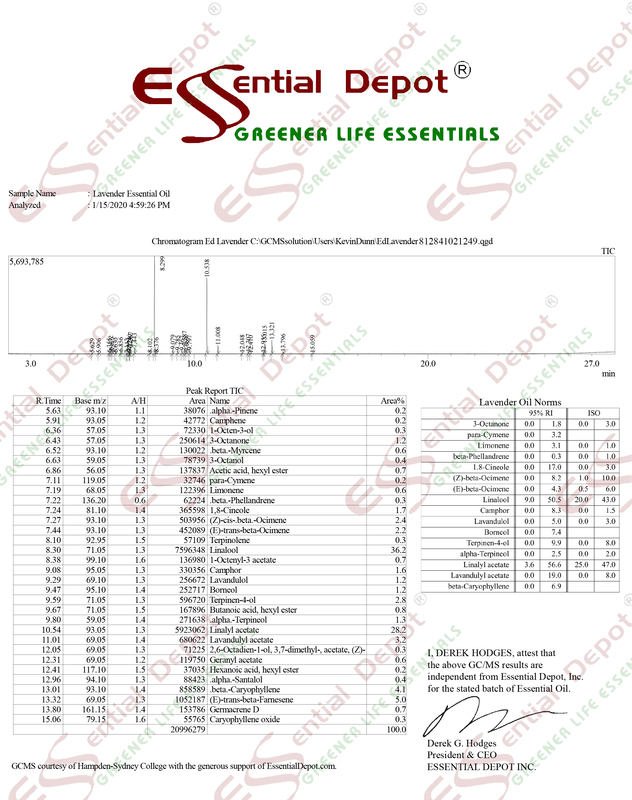 Essential Depot sells Glycerin derived from plants and not Glycerin derived from animal fat(s).